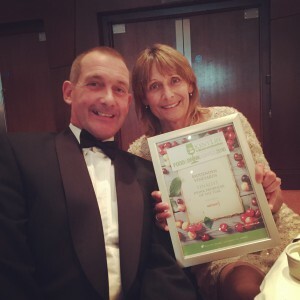 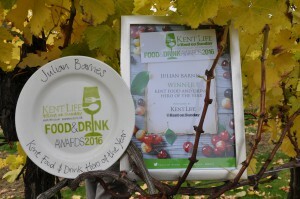 We are thrilled to announce that Julian Barnes has been crowned Kent’s Food and Drinks Hero of the Year at the Kent Life and Kent on Sunday Food and Drink Awards 2016, which were held last night (Monday 17 October 2016) at the Ashford International Hotel, Ashford. 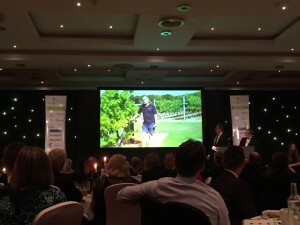 We were also delighted to reach the top three in the Drink Producer of the Year category, which was awarded to Anno Distillers, Marden. 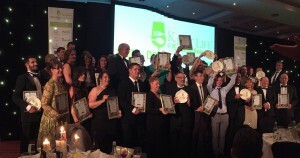 This year’s awards witnessed a record number of nominations spread across 11 different categories, with the top three finalists in each category enjoying a sparkling wine reception (with Biddenden’s Gribble Bridge Sparkling Rosé, 2012 and Red Love® apple juice) followed by a three-course meal (with Biddenden’s Ortega, 2014) before the winners were unveiled. 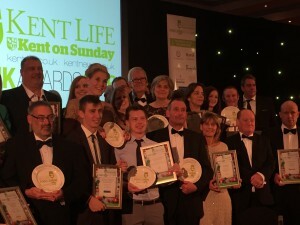 The prestigious Kent Life and Kent on Sunday Food and Drink Awards, which launched in 2013, are designed to champion, highlight and offer a showcase to the great and the good from the region’s food and drink industry, including local producers and suppliers, small farming businesses, chefs, pubs, restaurants and hoteliers. 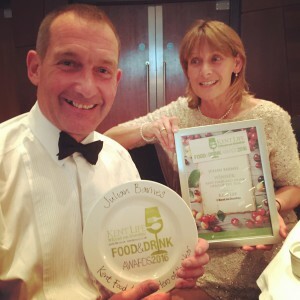 We supply a number of restaurants, pubs, hotels, farm shops, delis and independent retailers across Kent, Sussex, Surrey and South East London. 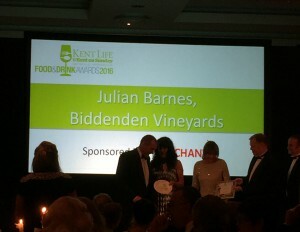 The vineyards is open daily to visitors throughout the year with free admission and tastings.